Product information "Crocband Flip Navy Croslite"
Sporty and lightweight with the signature athletic stripe, the Crocband Flip is a colorful and incredibly comfortable warm-weather choice that pairs perfectly with shorts, slacks or swimwear. Constructed of easy-to-clean Croslite material, it's ready for the beach, garden or anywhere else you choose to get your summer on! 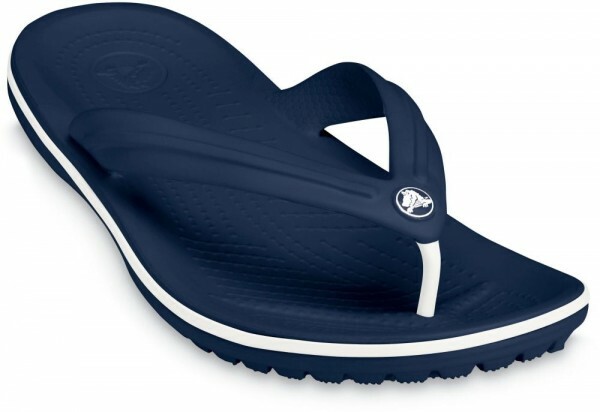 Related links to "Crocband Flip Navy Croslite"
Customer evaluation for "Crocband Flip Navy Croslite"